Killed in action, Gallipoli, August 9th 1915. Son of Rev. W. Fyldes of St Mark's, Wilton Vicarage, Blackburn. A donation to the memorial statue has been made in honour of this soldier by Roger Mason (Ch. 1956-59). Aubrey William Fyldes was born on 14th February 1897. He was the son of the Rev. W. and Amy L. Fyldes of Witton Vicarage, Blackburn. He was a native of Hartington, Derbyshire. Aubrey Fyldes was a pupil at Brighton College (Chichester House) between 1911 and 1914. 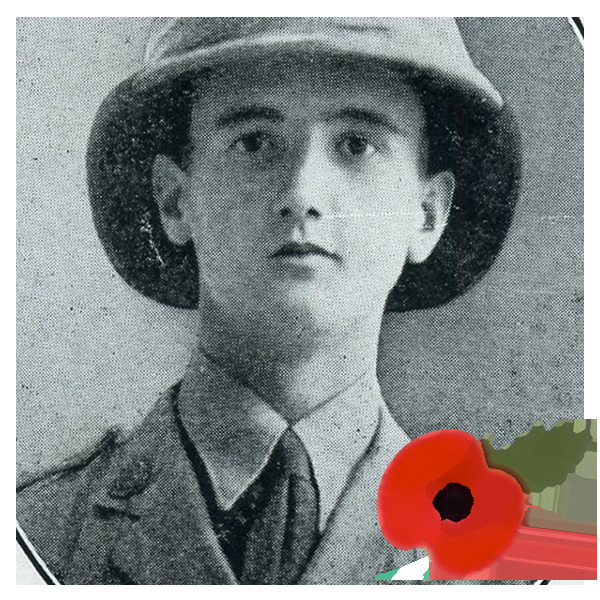 Following the outbreak of the First World War, he joined, at the very young age of 17, the East Lancashire Regiment and received a commission as Second Lieutenant in the 4th Battalion early the following year. The Regiment recruited primarily from the new industrial towns of East Lancashire, including Burnley, Blackburn, Nelson, Colne and Accrington and it was a battalion of this regiment which was to become the infamous ‘Accrington Pals’ who were all but wiped out on the Somme in 1916. During 1915 the 4th Battalion formed part of the 42nd Lancashire Division which was sent to Helles on the Gallipoli peninsular in May 1915 where the Allied forces, mainly comprised of the famous ANZAC corps at that stage, had stalled following their initial landings on April 25th 1915. Following their reinforcement by the 42nd Division, the Allies pushed forward once more at Helles on 4th June, but again to little effect. There were further attacks on the rest of June but despite local gains - at one point the line was pushed forward more than a kilometre - there was no breakthrough. By 13th July the advance at Helles was effectively over and the position remained unchanged until the evacuation in January 1916. On 9th August 1915, while holding the line in a static position at Helles, Aubrey Fyldes was killed. His grave is in the Redoubt cemetery, the name is taken from one of the line of forts across the Gallipoli Peninsular which cost so many Allied lives. He is also commemorated on the war memorial in his original home town of Hartington, Derbyshire.